Announcing…. a call for submissions for the fourth annual Bikes in Space anthology. Bicycle transportation is often seen as a means towards a utopian project. The joy of cycling, the environmental and health benefits, and so on, are spoken of almost evangelically, and many riders and advocates have lain awake imagining a world where the bicycle reigns supreme, or at least roams free. 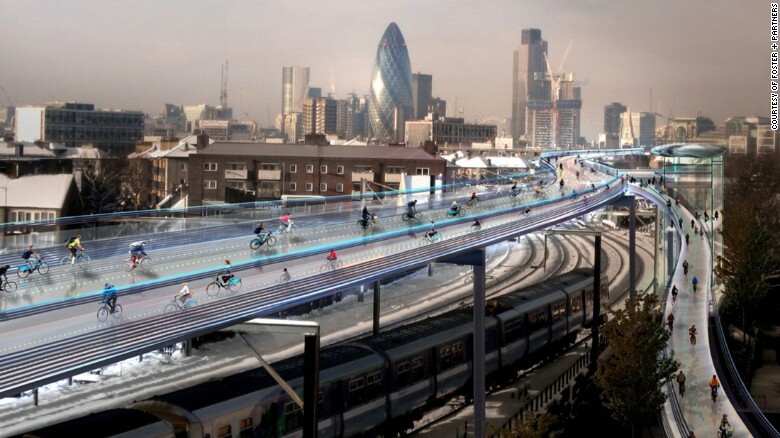 Some of the political backlash against cycling is a reaction to this dream of a bicycling future; a dystopian fantasy of a society where cars are outlawed and the freedoms they represent to many are curtailed. Yet others love bicycling but question dominant visions that often seems exclusionary and class-divided. For the fourth volume of Bikes in Space, Microcosm’s Elly Blue Publishing invites you to imagine, write, and submit short stories and art on the theme of bicycling and utopias, with a feminist perspective. Golden visions of feminist pedal powered communities vs patriarchal auto-dystopias are fine. But even better are tales that complicate the idea of a fully perfect or fully terrible society, show unexpected viewpoints, and are fun to read. Bikes in Space is an outlet for speculative fiction (or related genres) short stories with a feminist perspective that incorporate bicycling or bicycles in some way. What these things mean vary, and we seek a wide range of styles and viewpoints. Most stories we publish are approximately 2,500 words. Some are much shorter, a few are slightly longer. In general, make your story the length it needs to be. We especially seek stories that convey perspectives that have not traditionally been seen and heard in science fiction, and encourage people who don’t see themselves as fitting into any sort of science fiction establishment to submit stories. Please email submissions to elly at microcosmpublishing dot com. The deadline for submissions is Nov 1, 2015. To get a sense for the types of stories we publish, check out the original Bikes in Space zine, the second book, and of course volume 3, Pedal Zombies (the best way to get it before August 4, 2015 is via our Kickstarter project). Big thanks to contributor Aaron M. Wilson (he has a story in the first volume, and wrote a series of bicycle sci-fi reviews for Pedal Zombies) for the idea, inspired by this year being the 100th anniversary of the original publication of Charlotte Perkins Gilman’s story Herland.